Pride of ownership abounds! This absolutely charming home has been lovingly maintained & recently refreshed w/ new laminate wood flooring, paint & carpet. Tons of natural light pour into the living room room through the large picture window which looks out to the beautifully landscaped backyard. Other features are a newer roof, garage door, fencing & gate, light fixtures & tasteful bathtub tile. The bedrooms are uncommonly large for a Clairemont house & the curb appeal is terrific. Welcome home!, So much more can be said about this wonderful home. The backyard has plenty of grass to play on, fruit trees and a wonderful covered patio complete with a swing to enjoy those warm Summer days. Charm like this is not easy to recreate. The kitchen cabinets have been repainted and feel almost brand new. 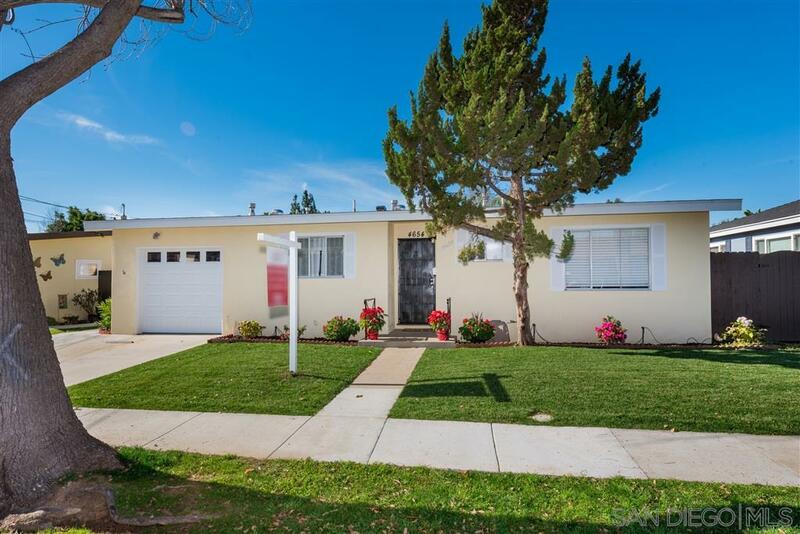 The lot is 600 square feet and the the neighborhood is really one of these special little pockets of Clairemont.